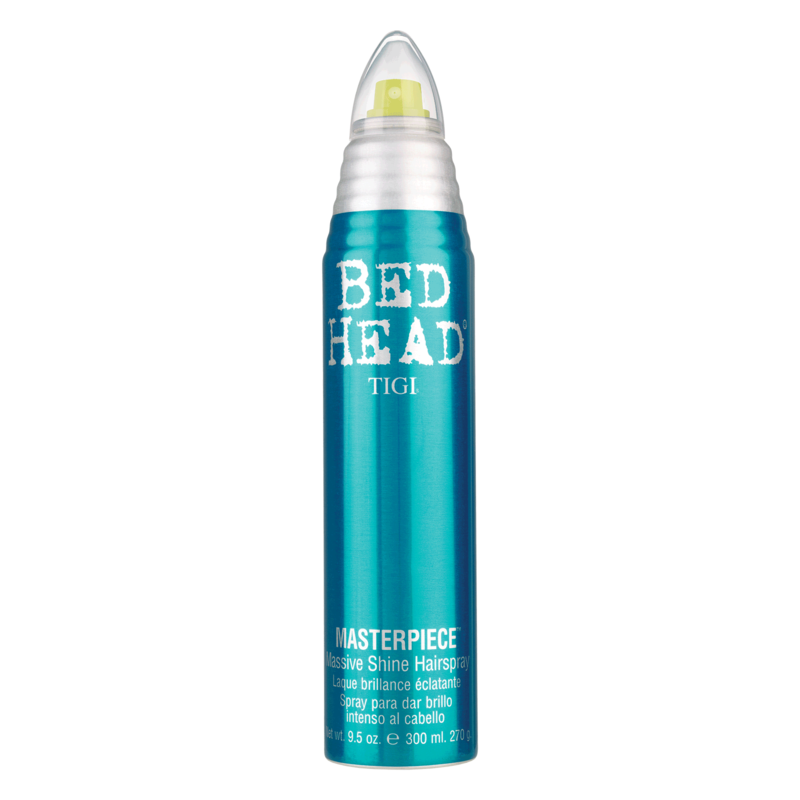 Tigi Bed Head Masterpiece Shine Hairspray is a massive shine hairspray that gives serious hold, adds body and resists humidity while guarding against dryness. It holds any style. Good for any hair length and texture. - As a working hairspray hold 10-12 inches from dry hair and spray evenly, layering as needed. - If using with heat tools, spot spray each section with a light misting as you style, finish your look with a final layer to set. "Smell is great and keeps hair in place!" "I've tried many hair sprays, and I always come back to this one. It has a light to firm hold, and smells fantastic!!! My clients love it too!!!" "Best hairspray ever! Smells great unlike many other professional brands. Hair always stays in place and leaves a nice but not oily shine." "I Really love this hairspray, it has a long lasting hold with a light shine and a little sparkle to it. Fresh fantastic smell. I highly recommend it for up-do's. I Love it and so does my clients. ????"